Admit it—you love winter. 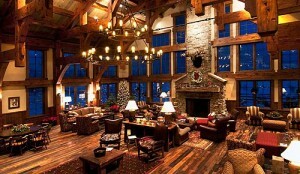 The real thing: crisp, clean air, clouds scudding over snow-dusted mountains; inside, a hot drink beside a crackling fire awaits. Or not. 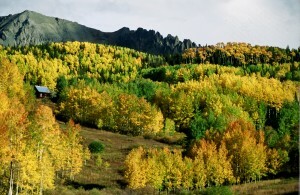 Maybe at your home winter is all traffic jams and rain-slicked highways, with a cooling cup of bad coffee at your desk. 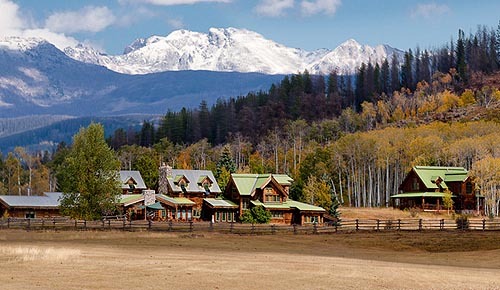 So get the heck out of that faux-season and go where real winter lives— out in clean, snow-covered ranch country. And while you’re at it, find some bargains out there! 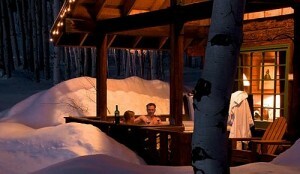 At Colorado’s C Lazy U, shown above, January means that all your fave winter activities are going full blast. The pond is frozen, kids are sledding down the driveway luge run and the snowcat is fired up and ready to take you out for some private skiing. 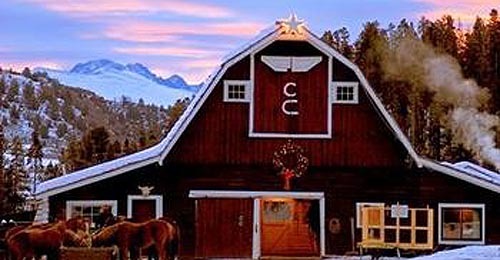 Sleigh rides, snow tubing, snowmobiling and even horseback riding are on the menu. Ice hockey, ice skating (on a pond kept smooth by Zamboni grooming), as well as snow tubing, snowmobiling, snowshoeing and cross-country skiing round out the winter sports program at C Lazy U. Don’t worry about gear—they’ll provide just about everything you will need. 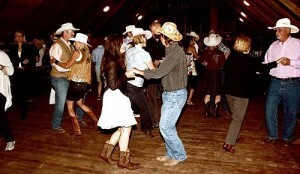 Another Year round ranch, Western Pleasure guest ranch offers four seasons of fun, but winter has a legion of fans. I saw this on TripAdvisor recently, posted by guests who’d taken a cross-country ski visit to Western Pleasure Guest Ranch. 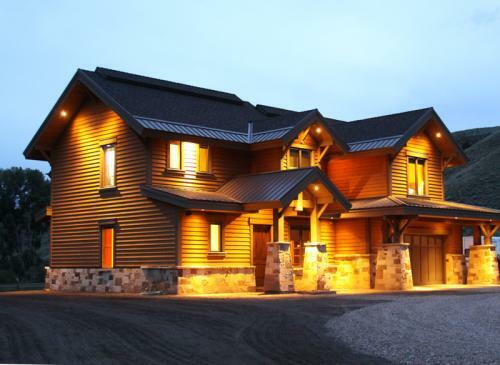 Check out their “Log Cabin Getaway Ski Packages” and ski down remote hills and perfectly groomed runs in the secluded wilderness. 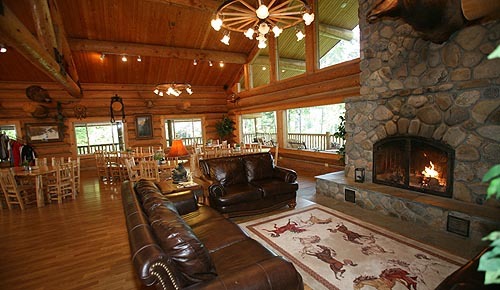 Then, return to a cozy cabin and a crackling fire. 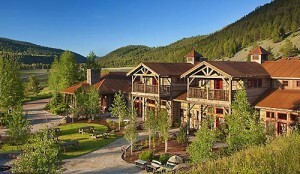 Or try the ‘Schweitzer Ski Vacation package’, do all of that starting with a hearty country gourmet breakfast in the Grand Lodge and then travel a few miles to Schweitzer Ski Resort, North Idaho, and Sandpoint’s premier ski hill. 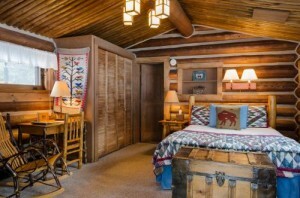 This all inclusive ski package includes two nights lodging for two in a log cabin, one day of skiing at Schweitzer Mountain Ski Resort, a romantic horse drawn sleigh ride for two, and a hearty ranch breakfast served in the main lodge two mornings. $430.00/Couple (taxes does included). 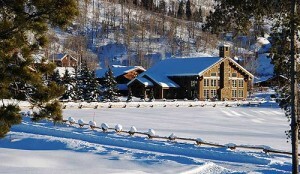 This intimate, year-round lodge is best known as a fly fishing resort, but since Utah is known around the world for winter sports (Utah hosted the 2002 Winter Olympics), they really know how to play in the snow here. Snowmobile ‘junkies’ know its hard to find a good balance of mixed terrain and untouched snow, but the folks at Crystal Ranch can help you find it. They know the Uinta Mountains well and can help you find the best. 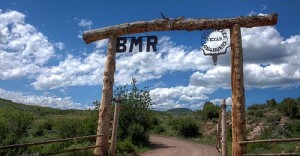 And while the ranch is in a remote area, the road is maintained in good condition year-round so you can drive your car or truck right to the lodge. 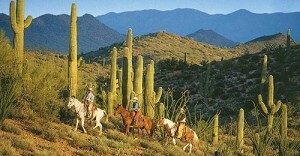 DETAILS: For more winter trip-planning help, including finding deals, go to Ranchweb.com. With high gas prices and a still-sluggish economy, families these days have to plan ahead to work a vacation in without stressing the budget. Turns out that staying in one place—a place that offers a variety of activities in one location—means big savings and less stress. And there’s no better time to plan a vacation than during the holidays, when the kids are home on school vacations and you’re all gathered together for the holidays. 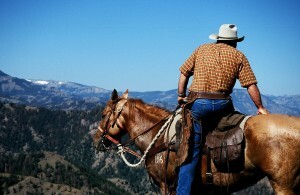 A dude ranch vacation can be the perfect value vacation, for five great reasons. 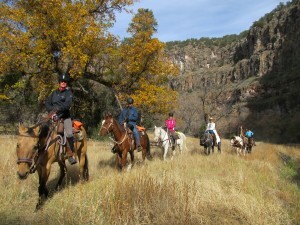 First, many dude ranches offer an all-inclusive deal where the meals, lodging, activities are all included. That makes it easy to plan accurately—unlike most cruises, where everything from soda pop to port fees and land excursions cost extra. 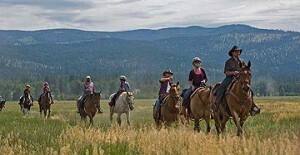 Secondly, on a dude ranch trip, you know where the kids are at all times (they’re having a blast—and they’re still being supervised), and you generally aren’t spending extra on babysitting. 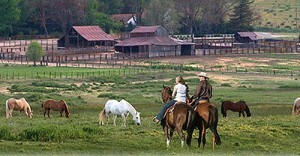 Next, considering all the facilities and activities open to your use, a dude ranch gives you more bang for your buck. 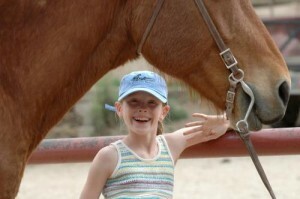 Fourth, you can get some great deals if you plan ahead, go during the shoulder season (often June and October at mountain ranches) or low season (summer at the desert ranches) when you can find discounted rates. 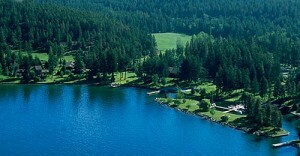 Finally, when you consider all the memories you’ll make as a family: its a trip that is priceless. 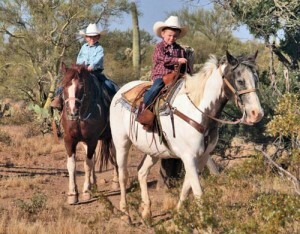 At White Stallion Ranch in Arizona, shown above, they believe that an all-inclusive dude ranch vacation requires no intricate planning, keeps every member of the family happy with a wide variety of activities, and lets people experience a real slice of the American West – all in line with a budget, with no extras or hidden surprises. 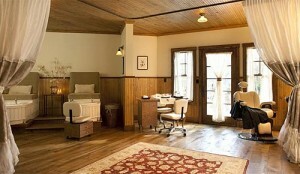 You’re sure to find the setting soothing, because the Running R is in the heart of the Texas Hill Country. You can’t see the roads or hear any traffic, just the sounds of nature combined with views so amazing and changeable they’ll take your breath away. 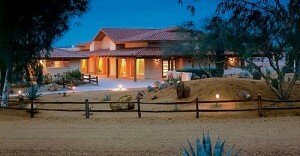 And one more plus: all the homestyle cooked meals are made from scratch. 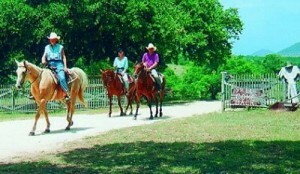 Here, the focus is on horseback riding, with daily rides into the adjacent 5,500-acre‘Hill Country State Natural Area’. 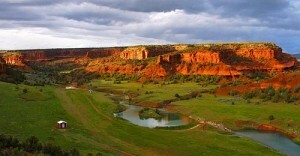 Now a state park, this Natural Area boasts more than 40 miles of trails to ride and views that stretch for miles. 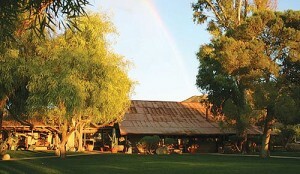 All of which makes this the perfect place to get in touch with your inner cowboy. 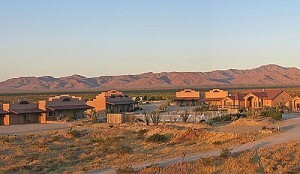 Details: Open year-round; right now is low season, so this is the time to save. High season runs from March-September. 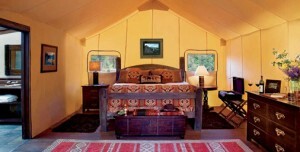 Located 56 miles northwest of San Antonio and 10 miles west of Bandera, Texas.